In the last week of October, I had the good fortune to attend “Meant to Last? 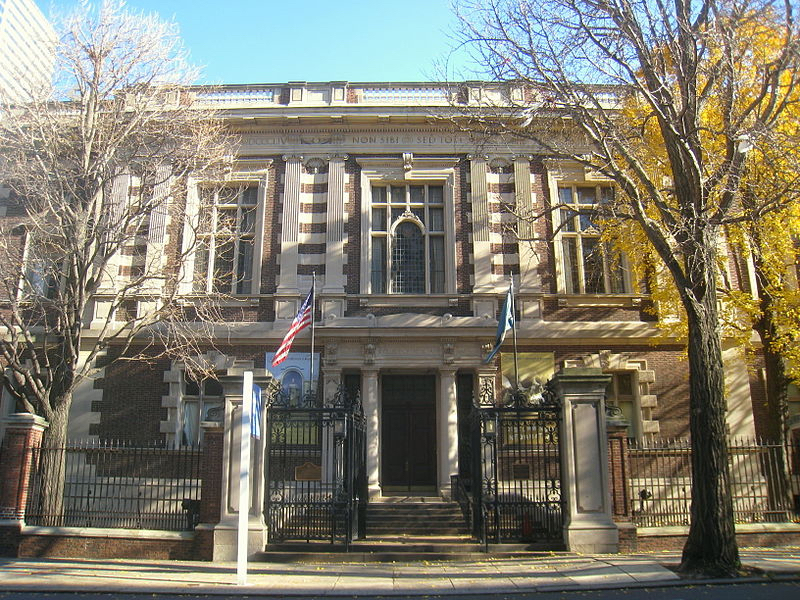 Preserving the Modern & Contemporary,” a conference hosted by the Conservation Center for Art and Historic Artifacts at the College of Physicians of Philadelphia. The two-day conference brought together museum professionals, archivists, conservators, and students from around the region. The discussions prompted by each session raised valuable questions about how collections of modern materials should be composed, conserved, and disseminated. Gregory Dale Smith, Senior Conservation Scientist at the Indianapolis Museum of Art, led one of the most valuable sessions. By describing the process of setting up his lab at the museum and walking through a few case studies, Smith entered into a wider consideration of what obligations museums had to care for objects made of inherently ephemeral materials. Modern materials often defy traditional cleaning techniques. For example, the plastic webbing on a collection of designer hats had begun to degrade. As plasticizers oozed out, the hats collected dust and lost the glossy appearance intended by the artist. But the plastic resisted water, so the lab stepped in to determine what the best procedure for cleaning and stabilizing the degradation. Unfortunately, they discovered that removing the dust and the sticky residue would only encourage more sticky residue to rise to the surface of the plastic, eventually causing considerable loss to the object. So the curators had to weigh their options: leave the hats dirty, in opposition to their original appearance; or clean the hats and risk losing the object. Smith’s analysis of this situation will help many curators as they work through similar crises in their own collections. Smith led another session the following day focusing on the case study of a ceramic vase decorated with fugitive inks from a set of markers, the Italian equivalent of Crayola. The vase had gone on a touring exhibition under standard light and humidity restrictions, only to return with near total losses of color over several areas. The museum has not determined a solution to this problem yet. They are working with the artist to understand his intention—was fading and loss part of his plan for the lifespan of the object?—and with conservators and scientists to set storage parameters for the vase. It also served as a reminder to registrars to go ahead and set extremely restrictive light parameters for objects going out on loan, especially if they are made of modern or untested materials. Another reminder came from Smith’s description of a set of plastic lamps that crystallized when left in a storage crate for over a year. Despite the admonition that the crates should not serve as permanent storage, a reorganization of the museum’s storage areas made it seem safer to keep them packed. During that year, the wood of the packing crates turned the interior environment of the crates acidic, causing the crystallization. The crystallized lamps have been deaccessioned into a study collection, and now we all have one more reason to unpack promptly. Besides the scientific case studies, the conference also provided several sessions that asked wider questions about what collections of modern materials could mean to the public. Several talks broadly considered the implications of collection and conservation. There was an excellent explanation of copyright laws, and a panel discussion about digital collections. Anne C. Jones, curator at the 1950’s All-Electric House at the Johnson County (KS) Museums, spoke about their acquisition and furnishing of an entire house. The museum collected a tract house as an exemplar of the style of homes that changed post-war America. There was nothing special about it architecturally or historically. Instead, it was refurbished as a model home exactly like the ones people would have toured in the 1950s. In light of this, Jones shunned traditional conservation of several objects, reaching out instead to commercial restoration services to make the objects “look new.” This unorthodox decision allowed her to protect the museum’s intent for the house’s collection. Even for those of us material culture scholars who love the really old stuff, it is likely that the collections we will care for in our professional futures will hold objects made of modern materials. 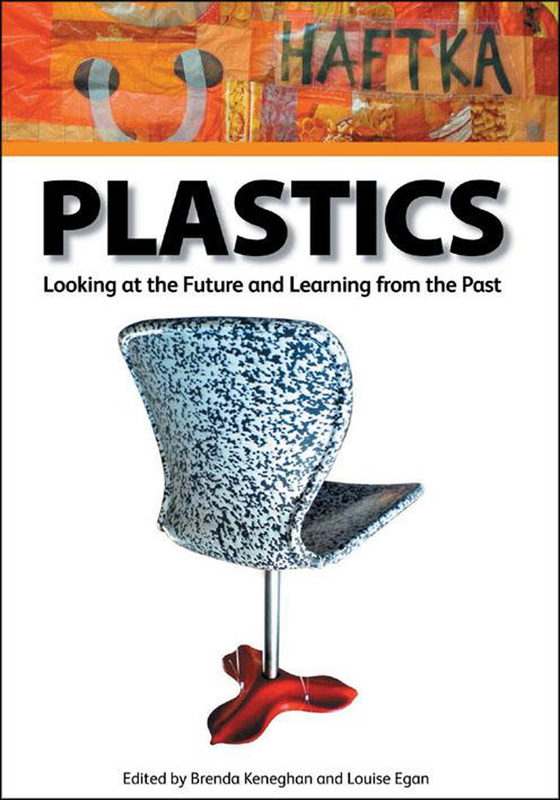 As we care for whatever sort of degrading plastic hats or vases made with cheap, nontoxic markers in our own collections, holding aloft the questions of our collection’s purpose and the artist’s intent can guide us as we make critical decisions. About the author: Alyce Graham is a fifth-year American Civilization PhD candidate writing her dissertation about hardship and suffering in nineteenth-century polar exploration. This entry was posted in Conferences, conservation, material culture, museums and tagged All-Electric House, Anne C. Jones, College of Physicians, Conservation Center for Art and Historic Artifacts, Gregory Dale Smith, Indianapolis Museum of Art, Johnson County Museums by Nicole Belolan. Bookmark the permalink.